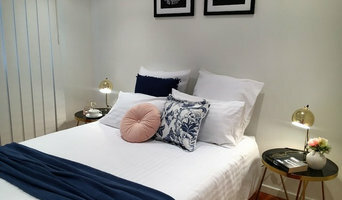 Melbourne Property Staging for all clients wanting their home or apartments styled and furnished for sale. 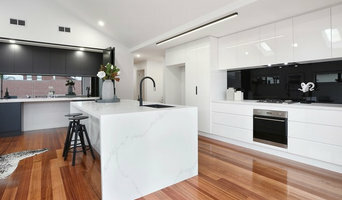 A property styling company that customises its stages for each individual client. We work closely with you to complete either partial or full stages of your property. Staging properties can ensure that the palette that we choose will appeal to a broad range of buyers and increase the amount of buyers and increase profit margins on auction day. 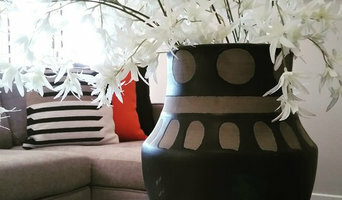 Decor8 Interior Design has over 10 years experience in styling homes for sale. We have a freash approach to syling and develop individual design concepts for each and every house we style. During our complimentary consultations we offer advise in room layout, what to keep or not to keep, how to best enhance the positive aspects of the house and ultimately how to acheive the best outcome in the sale of your house. We offer complete tailor made packages which include full or partial styling where you may only require a few peices to enhance the home in preparation for sale. Our aim is to present the property to its fullest and by doing so appeal to as many buyers as possible. Your home will stand out online and attact more buyers ultimately increasing the final selling price. Nikolah interiors is a unique business that creates a dynamic illusion of aesthetic appeal and space in the property. Space is particularly one thing that sells your property but also creating an environment that is relabelled and homely for the potential buyers to feel at home. Styling sells! The Right styling sells better! Tommy Baker Style homes to sell! Our furniture is high end, designer furniture from leading boutiques and stores to provide a sophisticated lux feel to your property to create the right impression first. Your home will soar above others on the market with the right styling. Don't settle for styling on the cheap, cheap furniture will lower your homes worth. Style in a sophisticated manner and you will more than reap the rewards and our team shine. Hillfrillies is a local home staging company working in the beautiful Dandenong Ranges. We know how to attract buyers in The Hills - all the properties we have styled have sold quickly for top dollar. We keep our costs low as we are local and small. Our “mate rates” are possible as reuse, recycle and repurpose furniture where we can - another reason our homes appeal to Hills buyers. The Roaming Atelier is there to guide you to reset your home when it feels you have lost control. Sometimes. all you need is a pair of fresh eyes and an affordable package that combines decluttering with furniture shuffling and styling to make your home feel brand new. We founded Styling Properties after several years working in the fashion industry, many renovations and developments of our own and a shared love of interior design. A career in property and interior styling felt like a natural progression. We don’t subscribe to one particular design aesthetic because every house has its own character and story to tell. It’s important for us to have a flexible approach to each project, rather than replicating a particular style. When styling a home for sale it’s more about the best option for the market at that time and creating a beautiful property that appeals to the broadest range of possible buyers. For most people buying a property is an aspirational process, we harness that process and create spaces that your potential buyers will fall in love with. When we style a home to live in, however, it’s a totally different process. Function works hand-in-hand with style to create a liveable environment that’s a reflection of our clients personality and needs. We look forward to working with you on your next project! We believe that the way we all live in our homes is completely different from the way a home should be sold. Our focus is to not only help you get the most money for your home but to create a space that is better than your competition and get your home sold first. In addition to general cleaning and de-cluttering, in many cases, we are restyling a space to appeal to the most amount of buyers. On the other hand, it's often space itself that is outdated. While we can't always renew the kitchen or replace the flooring, we can add furniture and accessories that are so well put together, it distracts them from the bones of the space because they love how the home feels. In a way, we're directing their eyes to the lifestyle the property offers and what we want them to see. You are selling your single most valuable asset in an incredibly an unpredictable market. It is important not to assume that because you love your home the way it is, the target market will. 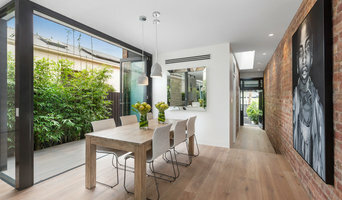 Oikos Interior Styling specialises in high end property staging for the Melbourne real estate market. Oikos also offers an interior design & furnishing consultancy service for residential properties. All in all we love what we do and are passionate about creating beautiful & liveable spaces for our clients. Mad about GREEN is a decorating service that aims to assist customers in achieving an interior that makes them feel at home. I chose the name of my bussiness based on the idea that Green is my chosen accent colour, a colour I feel at ease when surrounded by. I will consult with you, the client, to discover your Green... what is it that will make your house a place you will feel at home in. More than that, a place that represents you to your friends and family who you invite into your home. My Design experience is in helping my clients with what they already have to work with and following through with ideas and implementing them to accomplish their ultimate goal. You may just be building and need to select colours and furnishings from scratch, I will put together a mood board with colour and finishes. 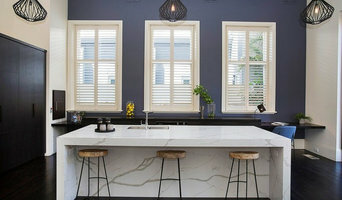 You may be in an existing home that you're not completly satisfied with, and, whatever your budget, I will work with you to refresh and renovate the look. You may be wanting to sell your home but are unsure how to best represent the interior during the sale process, I will help you to present your home at its best. Mad about Green is about helping my clients achieve their dream home!